It does seem a bit odd to be talking about 3G in the world’s largest mobile market, but would you believe that by the end of this year, 3G subscribers will represent only about 20% of all of China’s wireless subscribers? China is lagging behind believe it or not despite the impressive growth. Last year the 3G subscriber base was only about 12%. By the end of 2013, it is projected that 3G subscriptions will grow by another 325-350 million users. China Mobile, the world’s largest carrier with over 700 million subscribers, has only a little over 80 million using its proprietary 3G network (TD-CDMA). China Unicom and China Telecom, China’s number 2 and 3 carriers respectively, have grown near 100% since last year, and together have larger stake in the 3G market. Both carriers also offer Apple’s iPhone (China Telecom through its Beijing Telecom subsidiary), which distinguishes them from their larger rival and has also been cited as a major reason for their growth, both in customers and in overall 3G subscriber base. 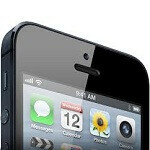 Apple just launched the iPhone 5 on December 14th on both carriers and in the first weekend, more than 2 million units sold. Analysts at Topeka Capital Markets believe that Apple will announce an agreement with China Mobile in 2013 to offer the iPhone to China’s largest subscriber base of more than one-half billion customers. the GooPhone I5 is a chinese Iphone knock of by the way. So... is this article just a counterbalance response to this article?http://www.phonearena.com/news/Chinese-smartphone-sales-expected-to-have-surged-137-higher-this-year_id38064 Because, when things are put in perspective, the word "contributes" used here is really just a qualifier to whip out the pompoms and celebrate. iPhones do contribute, but more along the same lines as beaver farts contributing to global warming.